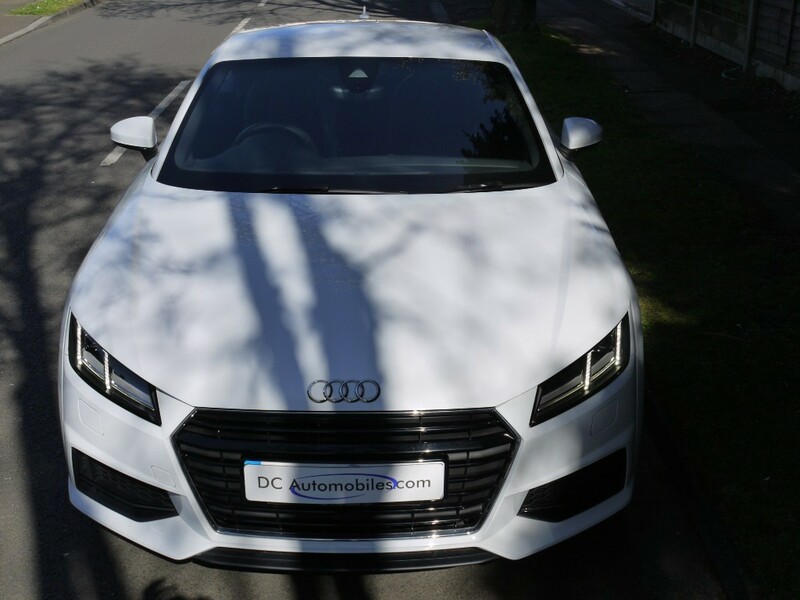 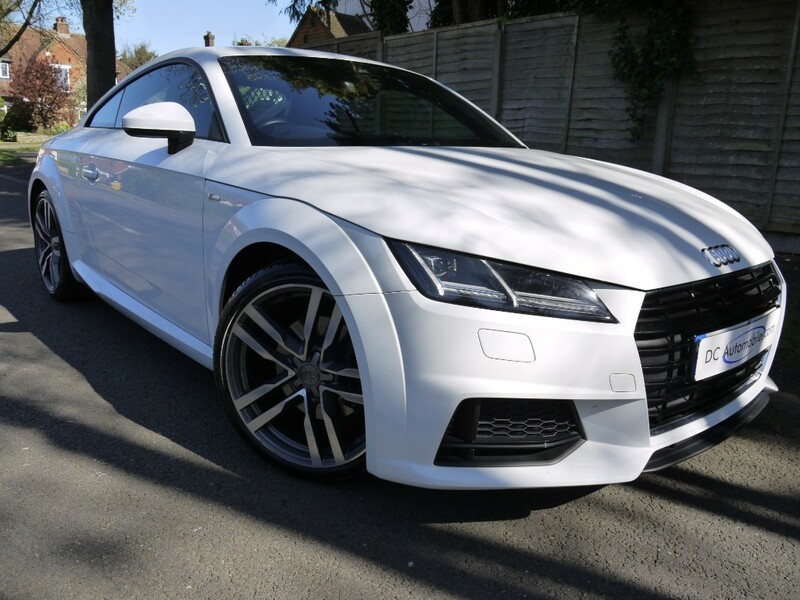 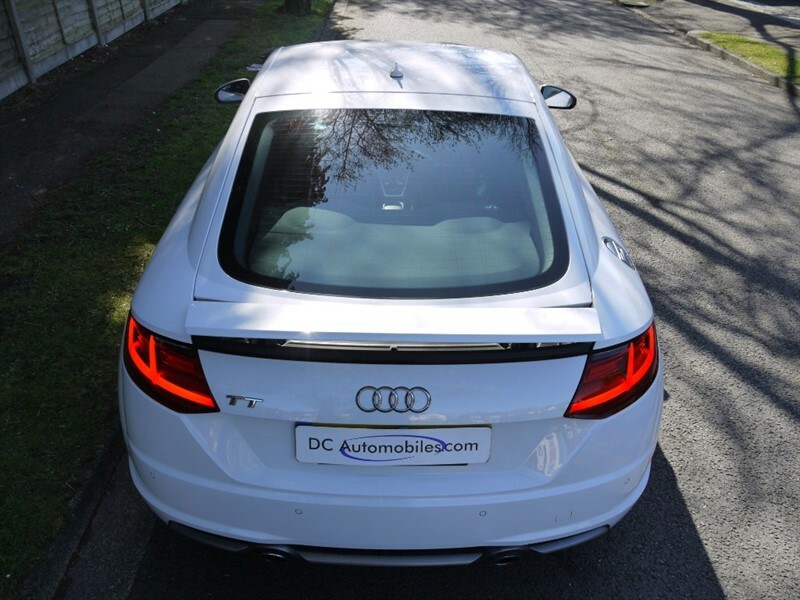 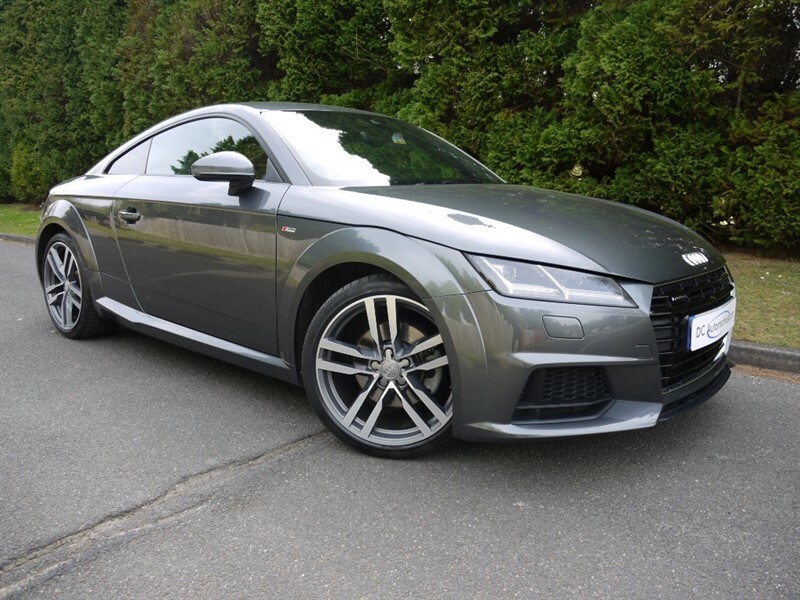 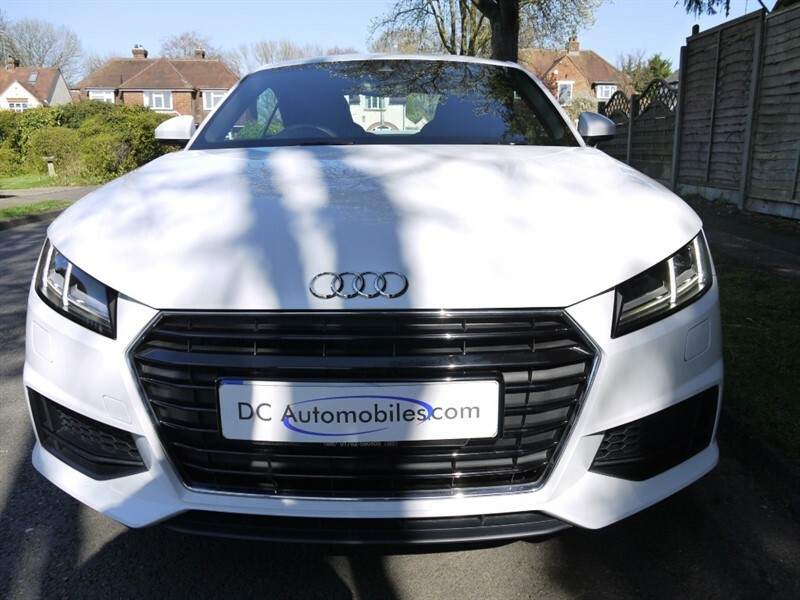 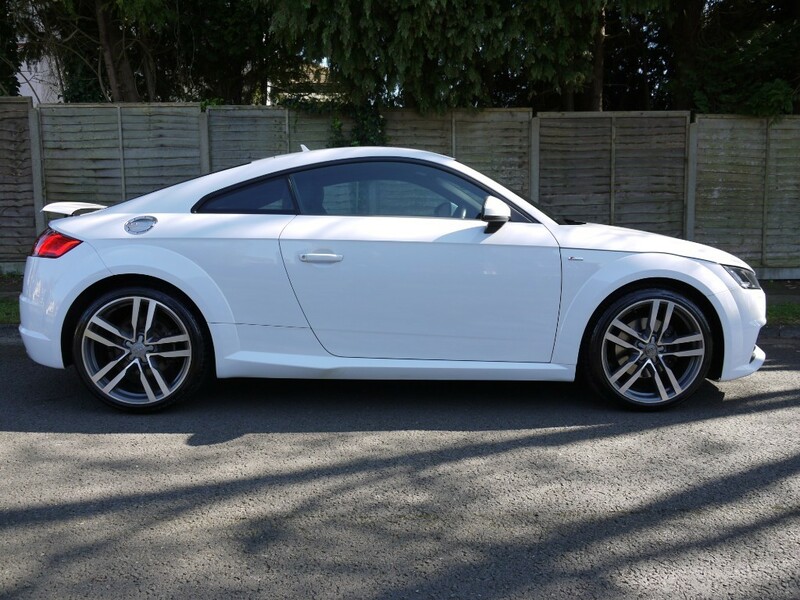 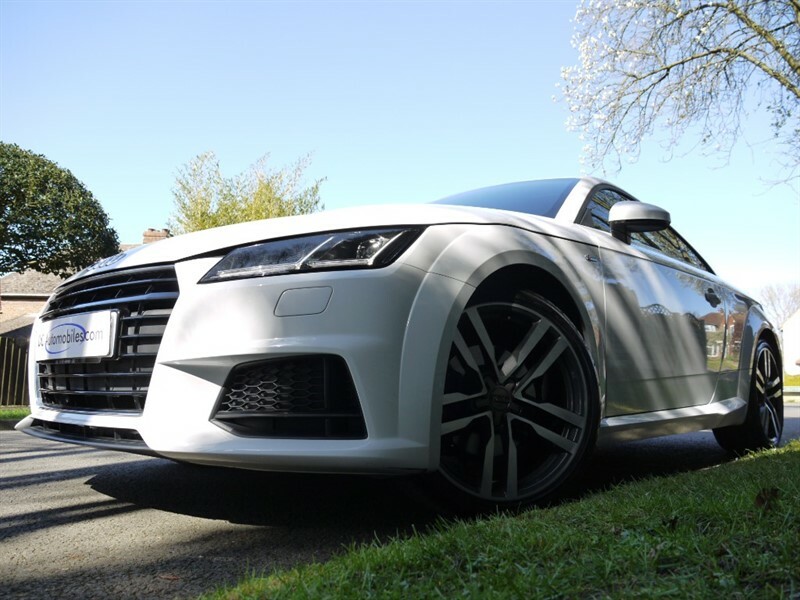 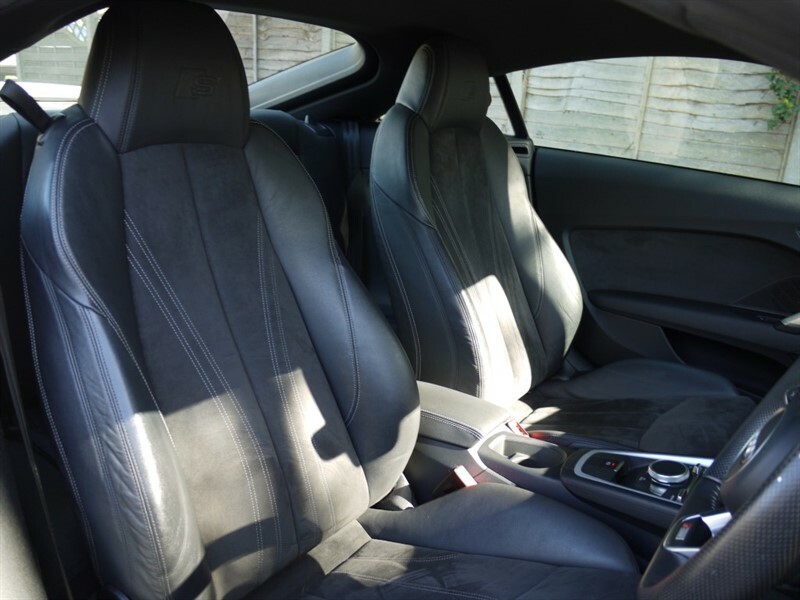 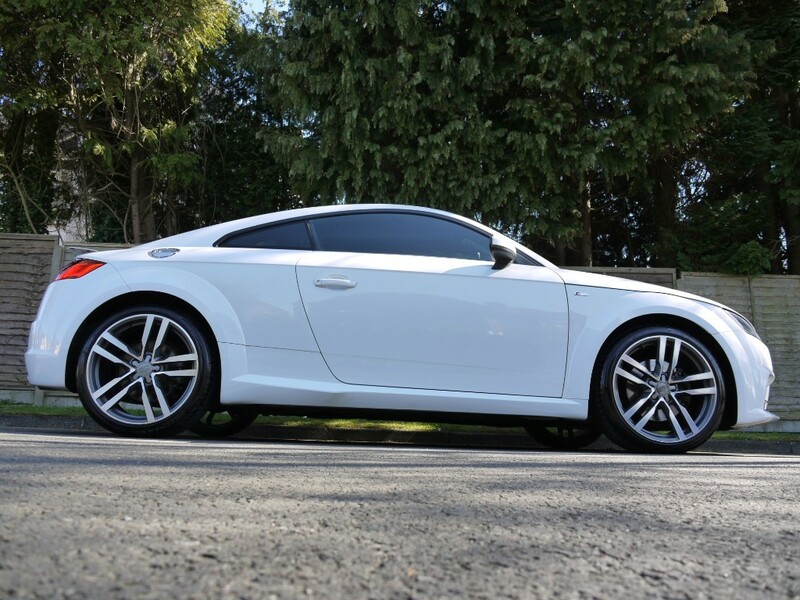 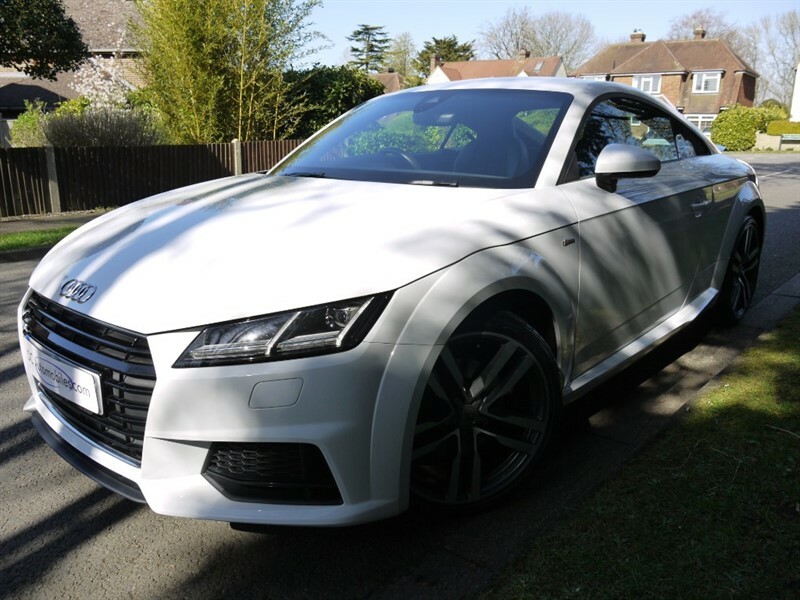 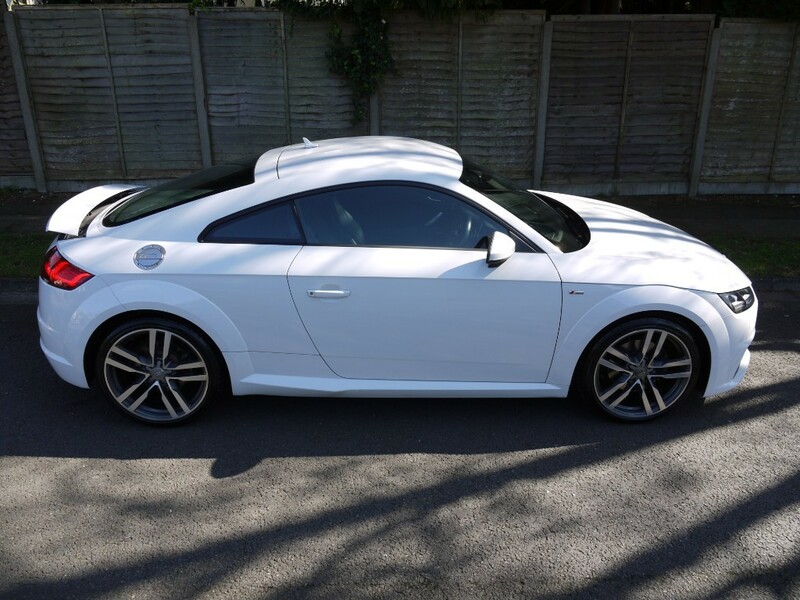 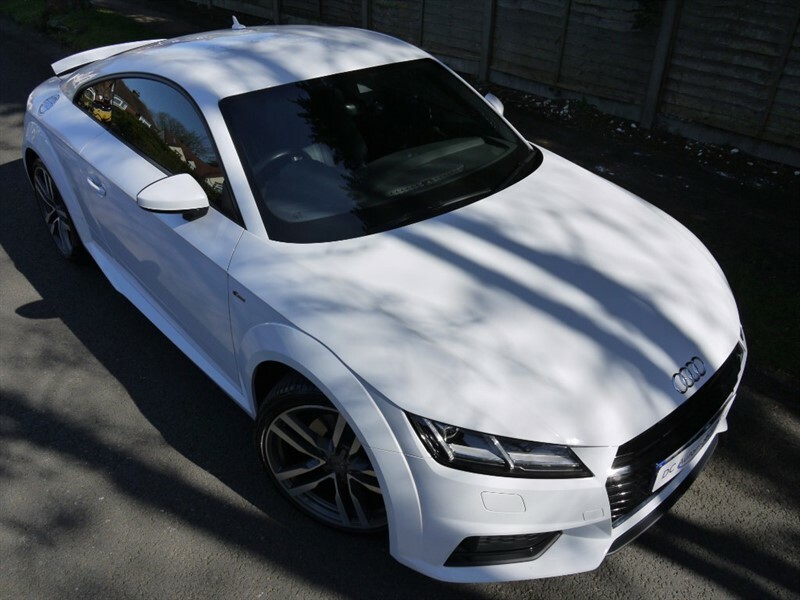 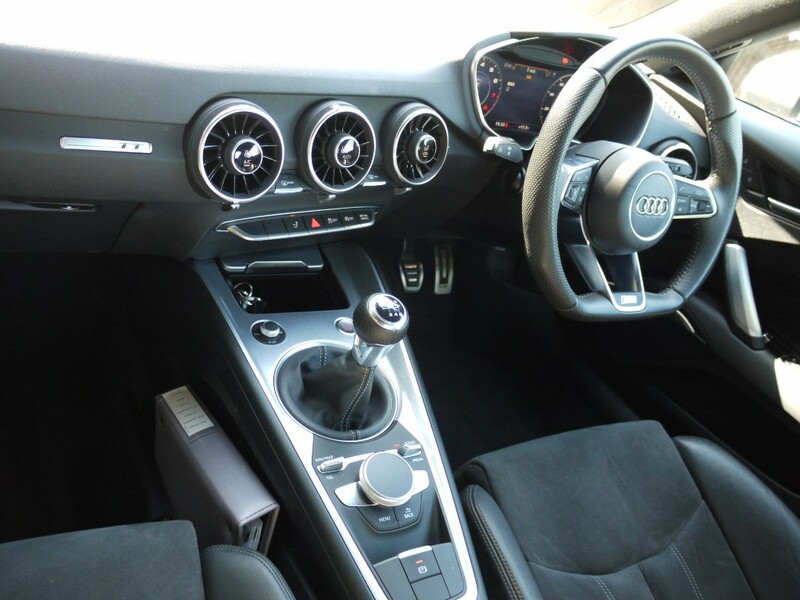 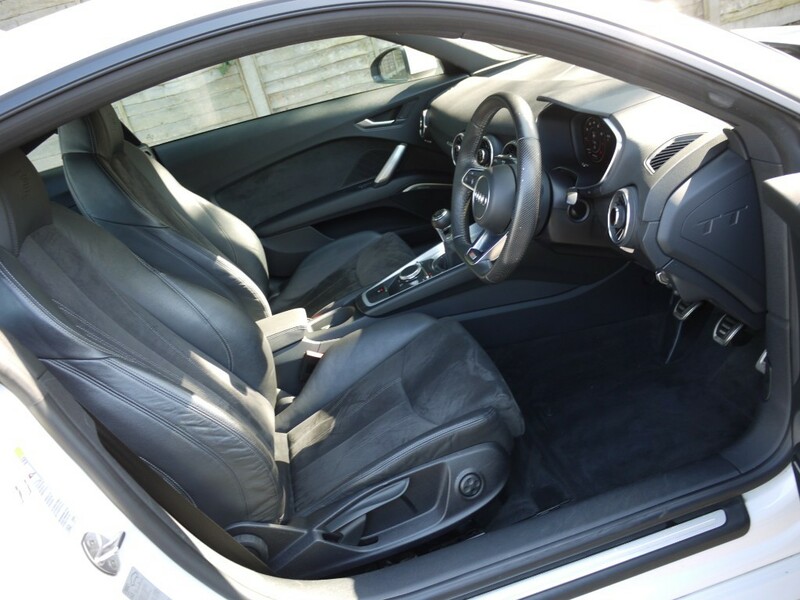 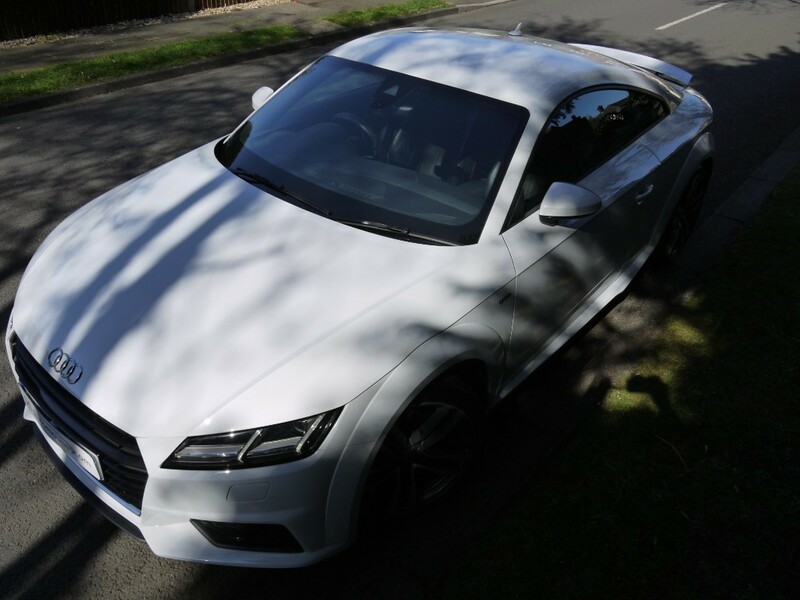 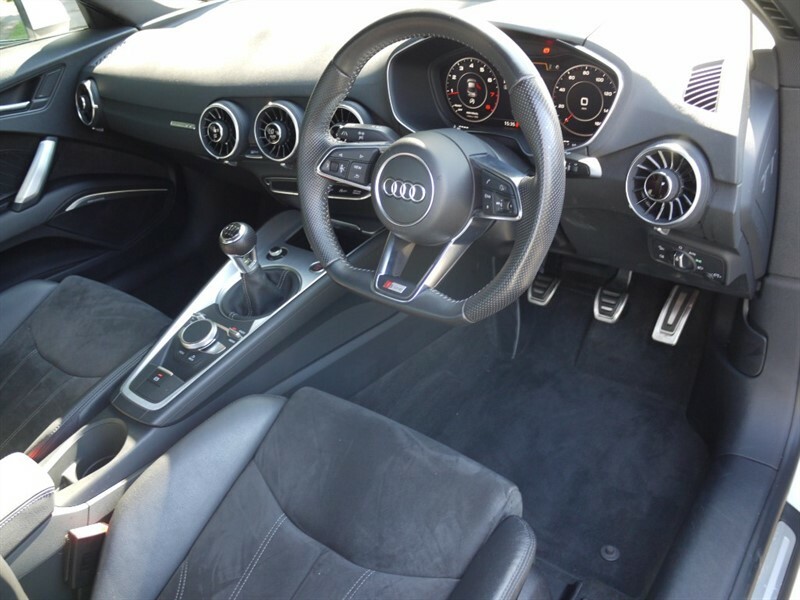 DC Automobiles are delighted to offer this Audi TT 2.0 TFSI S line (s/s) 3dr Finished in Glacier White Metallic with Black Alcantara Half Leather Trim. 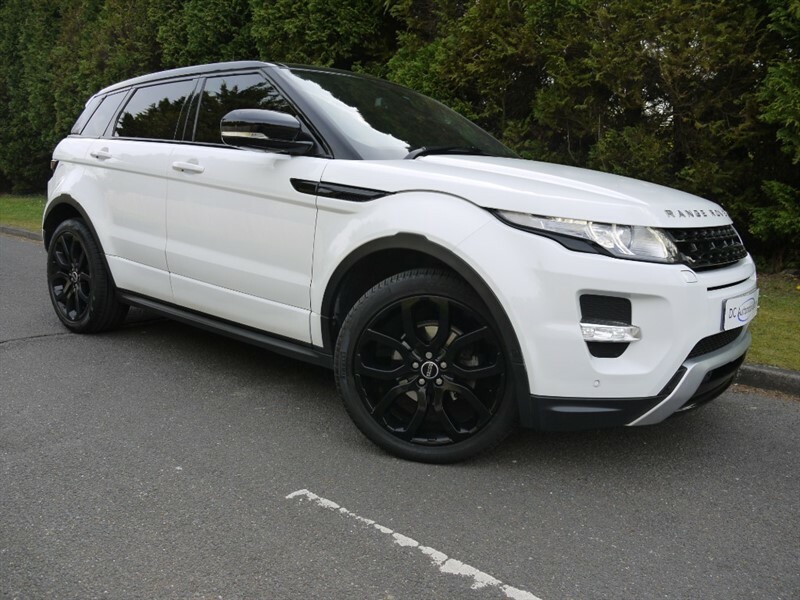 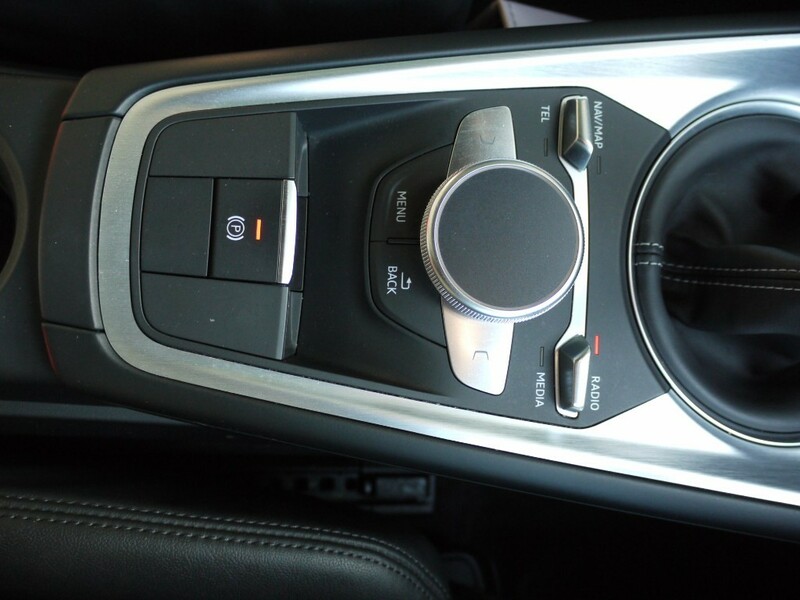 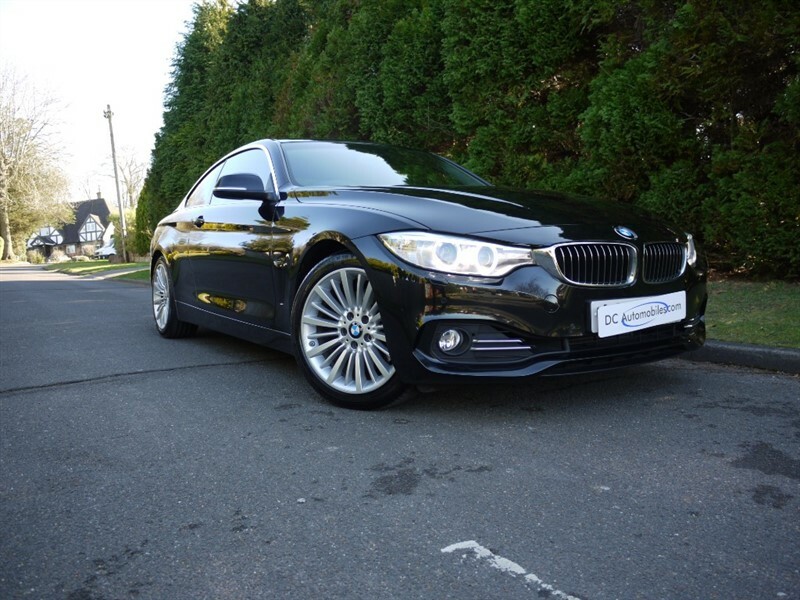 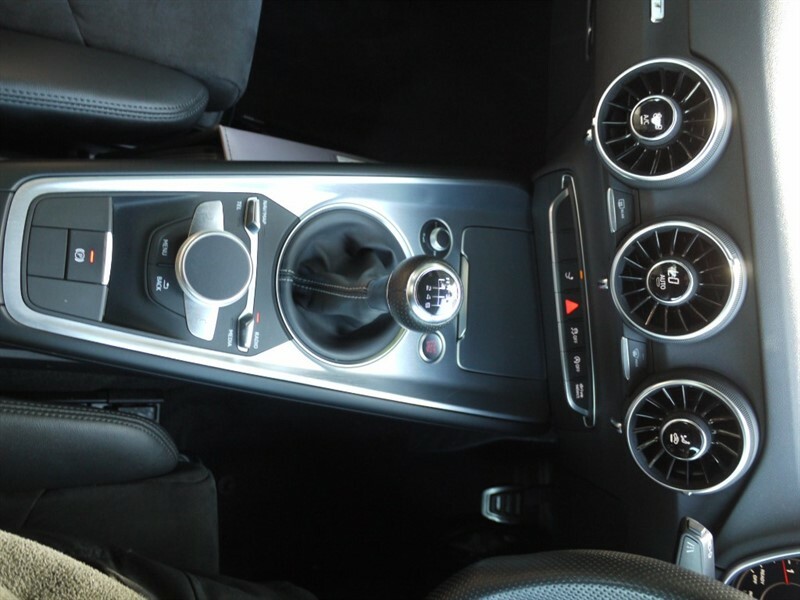 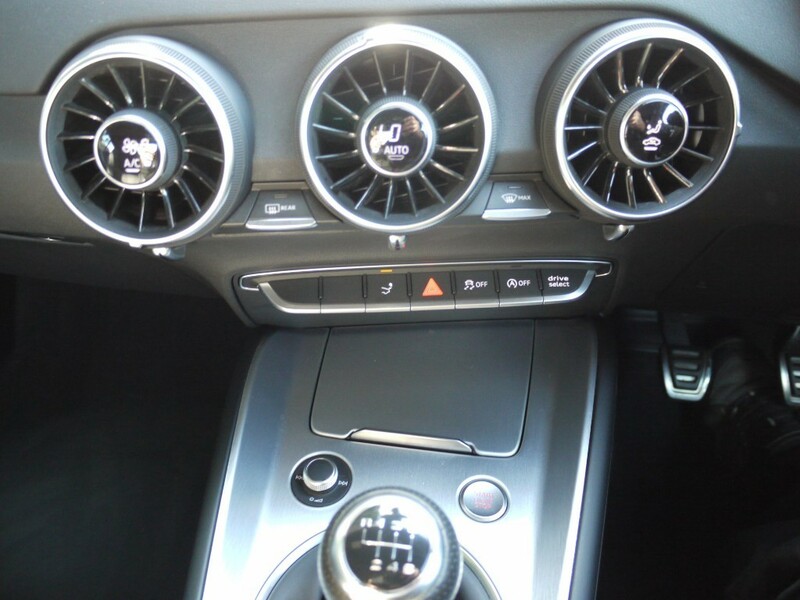 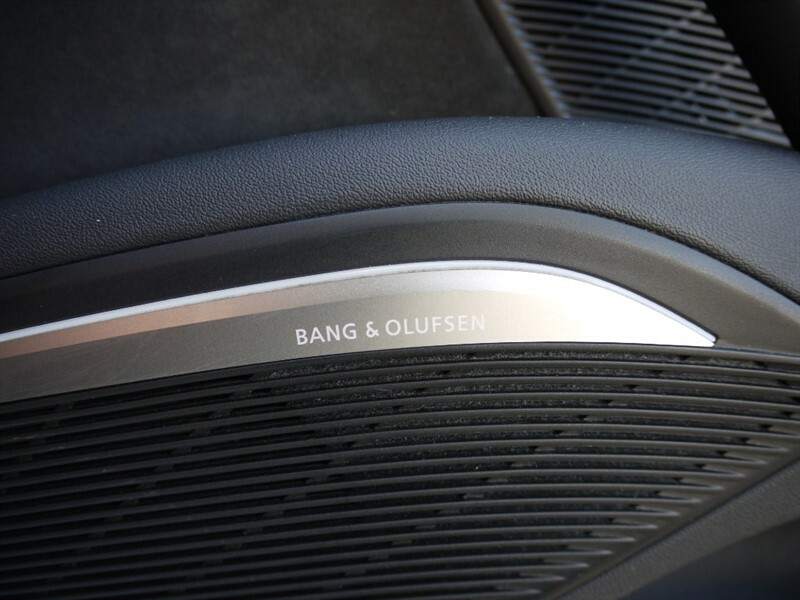 The specification includes 19" 5 Arm Twin Spoke Alloys, ABS, USB, AUX, 2 SD Card Slots, ACC Single Zone, CD, Computer, Remote Central Locking, 2 Electric Windows, Electric Heated Mirrors, Folding Rear Seats, Rear Park Distance Control, Traction Control, DAB Radio, Bang and Olufsen, Leather Multi-Function Sports 3 Spoke Flat Bottom Steering Wheel, Sound Pack, Auto BI-Xenon Headlamps, Day Running Lights, Centre Arm Rest, Bluetooth Phone Connectivity with Voice Control, Drive Select, Inflation Kit, Keyless Start, Comfort Pack, Design Pack, Headlamp Wash, ISOFIX, Child Lock, Switchable Passenger Airbag, Brushed Aluminium Inlays, 2 Keys. 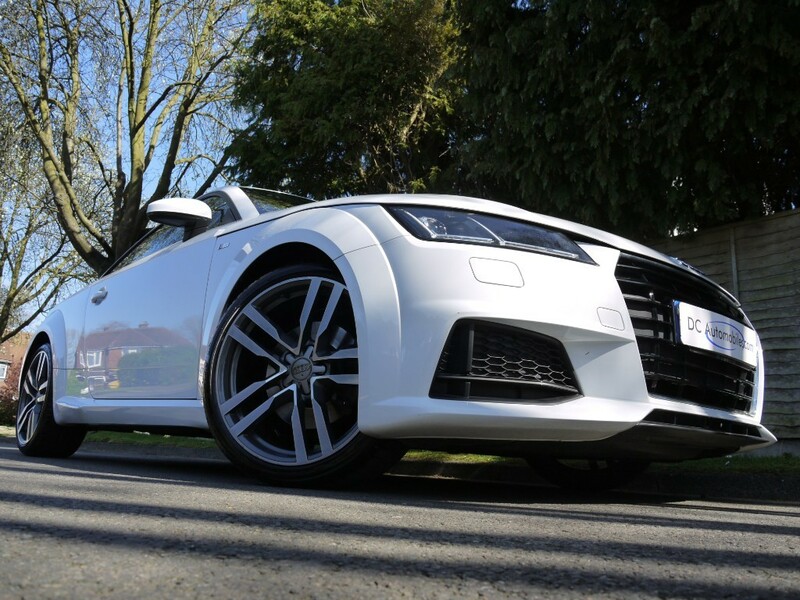 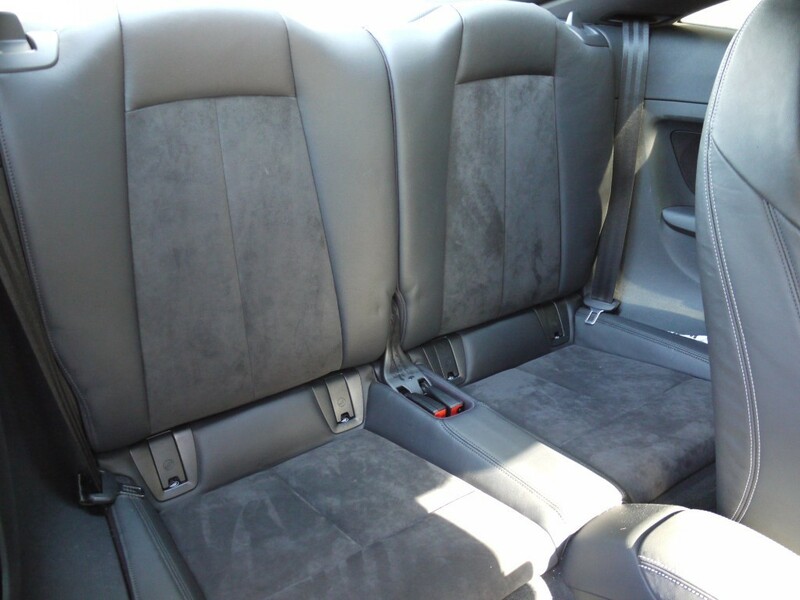 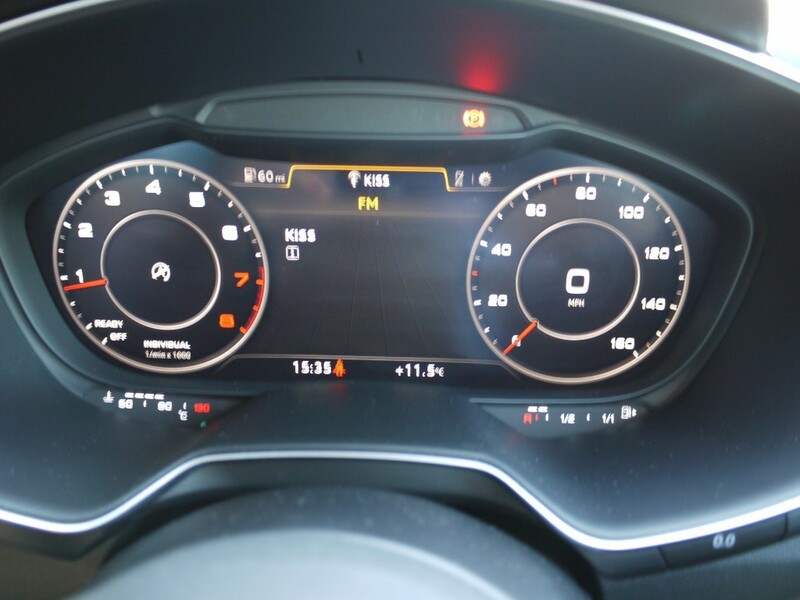 Just 30,472 Miles with Full Audi Service History and Volkswagen Group Plus One Private Owner. 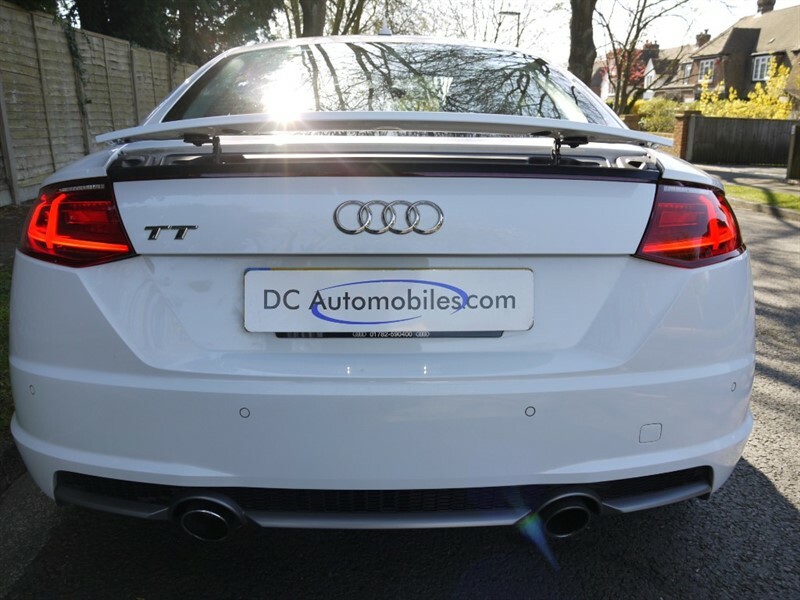 Viewing is Highly Recommended, please call for an appointment before arrival due to not all cars are on site.